Transfers to and from the deluxe alpine resort Megève are short, with a transfer from Geneva Airport taking just over an hour. Mountain Drop-offs offers private and VIP transfers to and from Megève all ear round. 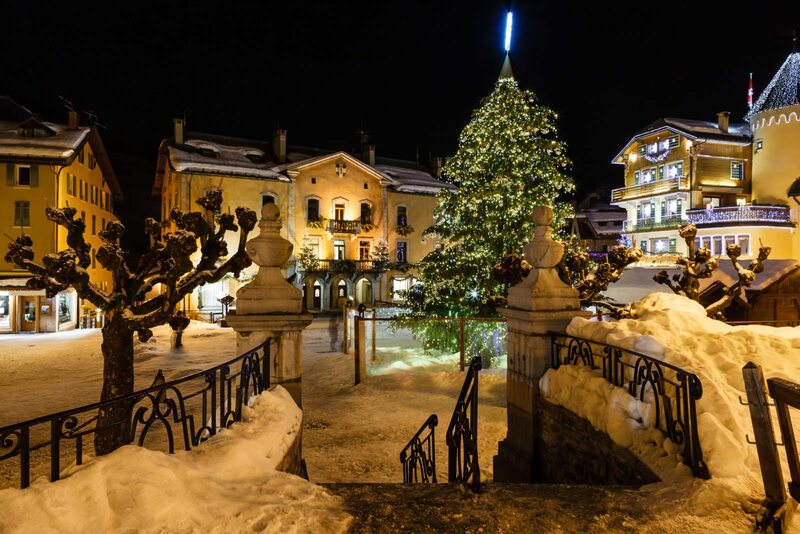 Megève is a very chic resort, much-loved by Parisiens, Princesses and film star types alike, so maybe this is the occasion to splash out on a VIP transfer in a luxury vehicle from the airport straight to the door of your accommodation, so you can arrive in style in Megève. Once you’re in resort, everything is just a gentle stroll away along the snowy pedestrianised streets, so you don’t need a car. All the ski areas are interconnected and accessible from Megève centre by lifts, pistes or the ‘navette’ buses (free in winter). And you can always go for low-horse power with a horse-drawn carriage ride for that romantic fairytale return trip to your accommodation after a meal out! Skiing in Megève really took off thanks to the wealthy Rothschild family, who wanted to create a ski resort to rival St Moritz in Switzerland. Once they had decided on Megève, they started building hotels in the Mont d’Arbois area and soon after the rich, famous and royals began to holiday in the new resort. It is still one of Megève’s most exclusive quarters even today, discreetly playing host to many multimillion-pound chalet hideaways. Although skiing often plays second fiddle to just ‘soaking up the atmosphere’ and being seen, there are some pretty challenging black slopes (we love the Rosay black in Mont d’Arbois and the Marmotte over on Cote 2000), but in general it’s pleasant cruisey skiing. What makes the whole Megève ski area utterly delightful is the plethora of panoramic vistas stretching to Mont Blanc and all around, the well-groomed and wide pistes, with an abundance of tree-lined runs. 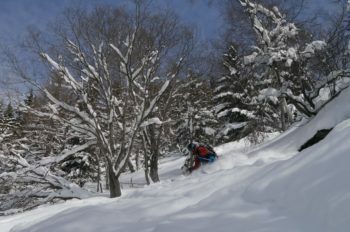 There’s something really quite Christmassy about skiing through the pine trees on the crisp white snow! Après-ski in Megève really does come into its own, with all of those swanky restaurants in often sublime settings, with prices to match. After dinner, the infamous Palo Alto night club always draws big crowds who want to dance the night away to world famous DJs like Bob Sinclar, David Guetta and Martin Solveig. You can also take a gamble in the casino, or you can head to the very distinguished ‘Les 5 Rues’ jazz club. Gourmet Megève – with Michelin stars! No talk of Megève would be complete without mentioning gastronomy. 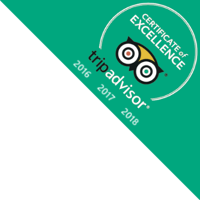 There are hundreds of very chic (and very expensive) eateries in Megève, with perhaps the most celebrated being Emmanuel Renaut’s Flocon de Sel, which boasts three Michelin stars, closely followed by the Le 1920 with two and La Table de l’Alpaga with one star. There are also lots of delightful tea rooms and chocolateries where you can sip a cup of Early Grey and watch the world go by. Take a wander around the impossibly pretty village centre in Megève and you’ll see high fashion brands such as Marc Jacobs, Dolce&Gabbana, Prada, Gucci and Colmar in the windows of some very smart boutiques. Splash the cash on a pleasure flight in a light aircraft from the Altiport in Megève. The high-altitude airstrip is on the beautiful plateau just before the Cote 2000 parking. In winter the plane uses ‘skis’ to take off from the snowy runway at 2000m and there are three aerial sightseeing circuits to choose from, giving a bird’s eye view of Mont Blanc from 76€ per person. We’ve done this trip and it is a truly brilliant journey! Do the ‘altitude apres-ski’ party thing at the famous Folie Douce, at the summit of the Mont Joux chairlift. Although technically in neighbouring St Gervais, this place is certainly a favourite with the skiers from Megève. Dance on the tables at 1958m until your ski boots can’t take any more and then very carefully ski back down as the lifts are closing. Surely THE place to be seen! Make sure you have a look around the exquisite Allard department store. It’s in the heart of the cobbled village square near the church and it’s the epitome of elegance – and there’s even a doorman to open the door and welcome you. Owned by a long-established Megevan family, this boutique has been selling posh things since 1935. If you’re a culture vulture, a peek inside Megève’s Baroque-style church in the village centre is a must. It’s almost as sparkly and golden as the famous Christmas decorations that this resort is known for. You should also make time to visit the Megève and Haut Val d’Arly museums for an insight into the traditional Savoyard lifestyle before the rich and famous came to Megève to ski and party. A great way to see Megève at any time of year is by rather sedate horse and carriage. You’ll find them gathered around the central square by the Baroque-style church. A little ride out is the perfect antidote for tired legs after a hard day’s skiing or hiking and ideal for getting a lift back home after you’ve over-indulged on an evening out. There is no denying it, Megève has been and still is one of the classic playgrounds of the rich and famous since the 1920s. Even today this chicest of alpine resorts attracts those who love a little bit of skiing, along with lots of shopping, gourmet food eating and evening entertainment. 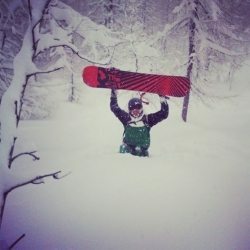 If this sounds like your ideal winter hols, book into one of the boutique hotels, get your Mountain Drop-offs transfer booked and get ready to live it up in Megève. Just don’t forget your credit card! After some internet research I decided on mountain drop-offs as they were the only company who could get me to Geneva for my 7:30am return flight.